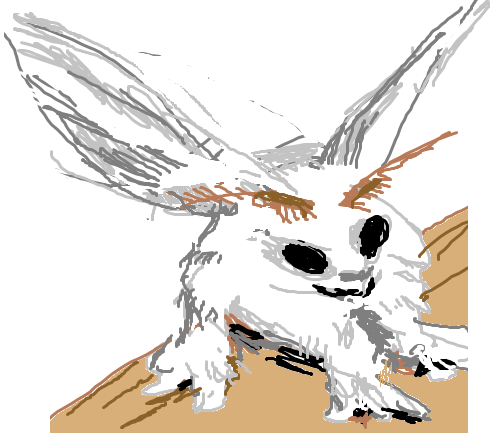 I made a "photoshop dots" version of the Venezuelan poodle moth drawing and SeacrestCheadle animated the dots. This could be an indulgence but it may actually be his best stuff. You can hear him simultaneously (i) working within the limitations of the "medium" (early desktop computers) and (ii) inventing new musical vocabularies made possible by this previously unavailable device. Most of the songs have a raw, 8-bit, arcade sound but he constantly thwarts your expectations by introducing sampled material, quoting other musical styles, or breaking into runs of fast harmonic brilliance. Mode 92, for example, starts as simple morse code pattern, introduces discordant counterpoint, morphs into Plaid-like 4/4 rave with sweeping scale riffs, and climaxes with an Emerson, Lake and Palmer quote ("Hoedown" or something like it). 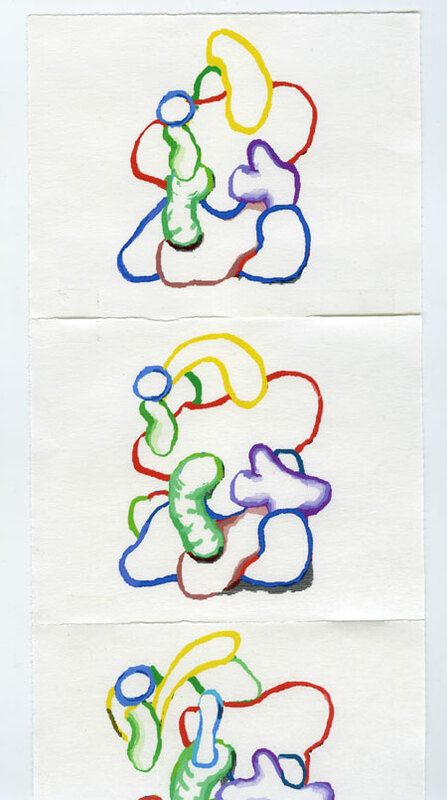 Motifs stack and unstack but inexorably build to a crescendo. You feel the underlying grid structure of the computer clock and cookie-cutter 4-bar patterns but there is so much invention going on these musical anchors are welcome. "Musically precocious teenagers creating Bartok in their bedrooms" is an archetype we should perhaps be aware of and treasure. Sometimes the work product sounds immature or derivative and doesn't develop until later. Sometimes it's gotten right on the first pass and doesn't need any improvement or practice, and that's the case here. For a mail art exhibition, Charles Westerman printed out individual frames of this GIF of mine (and a couple of others) and made a storyboard that he folded accordion-style, taped shut, and sent through the US postal system. Above is a scan I made of the first few frames. Thanks, Charles, it looks good.